Not to be confused with Principal. For other uses, see Principle (disambiguation). The concept of blind justice is a moral principle. A principle is a proposition or value that is a guide for behavior or evaluation. In law, it is a rule that has to be or usually is to be followed, or can be desirably followed, or is an inevitable consequence of something, such as the laws observed in nature or the way that a system is constructed. The principles of such a system are understood by its users as the essential characteristics of the system, or reflecting system's designed purpose, and the effective operation or use of which would be impossible if any one of the principles was to be ignored. A system may be explicitly based on and implemented from a document of principles as was done in IBM's 360/370 Principles of Operation. Examples of principles are, entropy in a number of fields, least action in physics, those in descriptive comprehensive and fundamental law: doctrines or assumptions forming normative rules of conduct, separation of church and state in statecraft, the central dogma of molecular biology, fairness in ethics, etc. In common English, it is a substantive and collective term referring to rule governance, the absence of which, being "unprincipled", is considered a character defect. It may also be used to declare that a reality has diverged from some ideal or norm as when something is said to be true only "in principle" but not in fact. Socrates preferred to face execution rather than betray his moral principles. A principle represents values that orient and rule the conduct of persons in a particular society. To "act on principle" is to act in accordance with one's moral ideals. Principles are absorbed in childhood through a process of socialization. There is a presumption of liberty of individuals that is restrained. Exemplary principles include First, do no harm, the golden rule and the doctrine of the mean. It represents a set of values that inspire the written norms that organize the life of a society submitting to the powers of an authority, generally the State. The law establishes a legal obligation, in a coercive way; it therefore acts as principle conditioning of the action that limits the liberty of the individuals. See, for examples, the territorial principle, homestead principle, and precautionary principle. Archimedes principle, relating buoyancy to the weight of displaced water, is an early example of a law in science. Another early one developed by Malthus is the population principle, now called the Malthusian principle. Freud also wrote on principles, especially the reality principle necessary to keep the id and pleasure principle in check. Biologists use the principle of priority and principle of Binominal nomenclature for precision in naming species. There are many principles observed in physics, notably in cosmology which observes the mediocrity principle, the anthropic principle, the principle of relativity and the cosmological principle. Other well-known principles include the uncertainty principle in quantum mechanics and the pigeonhole principle and superposition principle in mathematics. However, one realizes that in every sentence there is a direct relation between the predicate and the subject. To say that "the Earth is round", corresponds to a direct relation between the subject and the predicate. According to Aristotle, “It is impossible for the same thing to belong and not to belong at the same time to the same thing and in the same respect.” For example, it is not possible that in exactly the same moment and place, it rains and doesn't rain. The principle of the excluding third or "principium tertium exclusum" is a principle of the traditional logic formulated canonically by Leibniz as: either A is B or A isn't B. It is read the following way: either P is true, or its denial ¬P is. It is also known as "tertium non datur" ('A third (thing) is not). Classically it is considered to be one of the most important fundamental principles or laws of thought (along with the principles of identity, no contradiction and sufficient reason). ^ Jacoby, Jeff. "Lady Justice's blindfold." Boston.com. 10 May 2009. 25 October 2017. ^ "The Ethics of Socrates." Philosophy. 25 October 2017. ^ "Full Transcript: Jeff Flake’s Speech on the Senate Floor." New York Times. 24 October 2017. 25 October 2017. ^ Elwell, Frank W. "T. Robert Mathus's Principle ...." Rogers State University. 2013. 25 October 2017. ^ "Principle of Sufficient Reason." Stanford Encyclopedia of Philosophy. 7 September 2016. 25 October 2017. 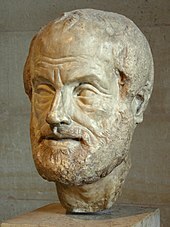 ^ "Aristotle on Non-contradiction." Stanford Encyclopedia of Philosophy. 12 June 2015. 25 October 2017. ^ "Great Philosophers." Oregon State University. 2002. 25 October 2017. ^ Whitehead, Alfred North (2005). Principia mathematica, by Alfred North Whitehead ... and Bertrand Russell.